Congratulations to the makepositive cricket team who won the inaugural Partners Day Cricket Tournament beating Natterbox in a thrilling final. The sun was going down when Player of the Tournament, Connor Barry took to the crease one last time along with our CEO Mark Richards. They got out a little earlier than expected but their final and most important partnership delivered a respectable 20 runs. Next at the crease was ex-county player Kasif Imran scoring a very credible 17 runs not out leaving Natterbox 56 to beat. Natterbox were hot favourites to win as they took to the crease. Darkness was descending as their warrior batsmen took the strike and punished every ball until miraculously young Connor Barry took a catch on the southern boundary that was destined to change the outcome of the match. Needing just 13 runs off the last over, against legendary bowler, John Emburey, Natterbox wilted in the dusk as the last man fell to a catch by team captain and jubilant hero Kasif Imran. We only went and won it!! A tense final at the end of a brilliant day of cricket, networking and fun. 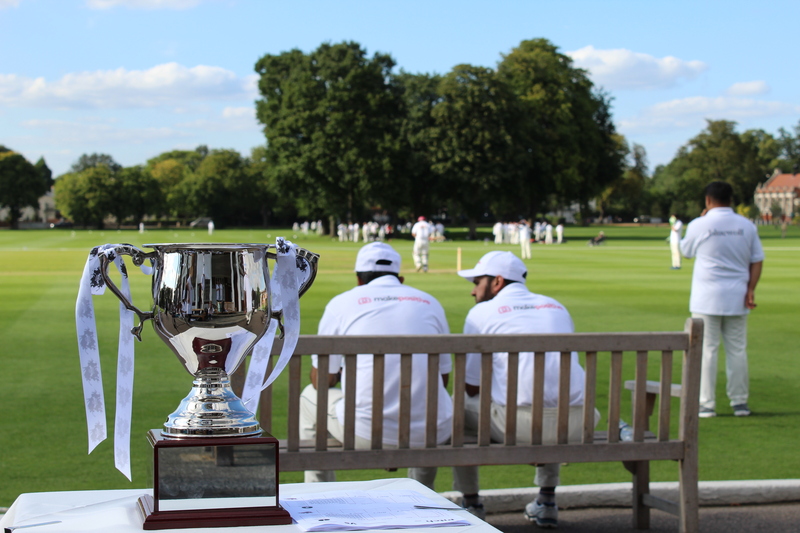 Bragging rights and a trophy for a year ... but you can be sure that the Salesforce Partner community will be back next year to compete for what is already one of the most sought after trophies in English cricket! ... and the celebrities John Emburey, Clare Taylor, Devon Malcolm, Simon Jones, Greg Matthews, Usman Afzaal, Monty Panesar, Martin Bicknell, Yasir Arafat Nick Compton, James Kirtley, Kirk Edwards and Wasim Jaffer. In his pre-event press release, organiser James Collett spoke about the how the idea originated from an informal chat with Matt Cooksley, COO makepositive: “ Originally the idea was to get a few colleagues together for a knock and some banter with some other companies in the Salesforce eco-system and then the idea just grew from there! We have been astonished by the amount of Salesforce partner companies who answered our call and have entered a team. We are used to competing in business and now we are going to be coming head-to-head on the cricket field. It’s all in aid of charity, but it will be very competitive I am sure!” said James Collett, SVP Marketing and Strategic Alliances at makepositive. 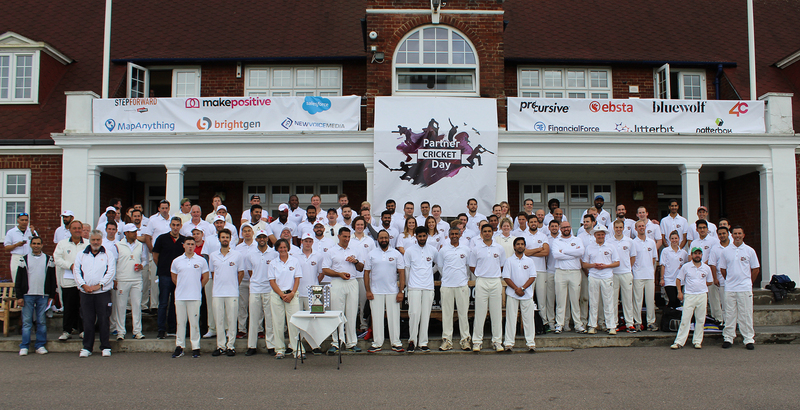 At the closing of the event, with the sun going down on what turned out to be a perfect day for cricket, James reflected on the overwhelming response the event had received from the Salesforce partner community and paid tribute to all those companies who had picked up the mantle and joined in the fun. Nobody could have predicted such an enthralling and competitive end to this, the first ever Partner Cricket Day tournament. The legends were clearly having a fantastic day, coaching their teams in the nets, helping them warm up and prepping them for their moment of glory. "The celebrity cricketers were superb. They were signing autographs, providing memorabilia, coaching, talking with the media ... and of course, playing some exceptional cricket. Special mentions to Devon Malcolm and Greg Matthews who were the two legends who cajoled the others to come along and play. The whole day was played out in tremendous spirit and of course, it was a real thrill for makepositive to not only win the tournament but for our new recruit, Connor Barry, to be awarded Player of the Tournament by the MC Phil from All Out Cricket Magazine. "Our mission is so alive today", Kyle O'Brien, The Challenger UK charity. The last word is saved for the real stars of the show, The Challenger charity. Set up to help youngsters to acquire the skills and confidence required to achieve their capabilities, The Step Forward project was chosen as the beneficiary for this year's event. Click here to find out more about the charity and hear what Kyle O'Brien, Senior Business Development Manager and Salesforce Apprenticeship Lead had to say. Thanks to all that took part. Special thanks to Jitterbit for sponsoring the bar. Looking forward to doing it all again in 2018! Click here to see video highlights of the day. 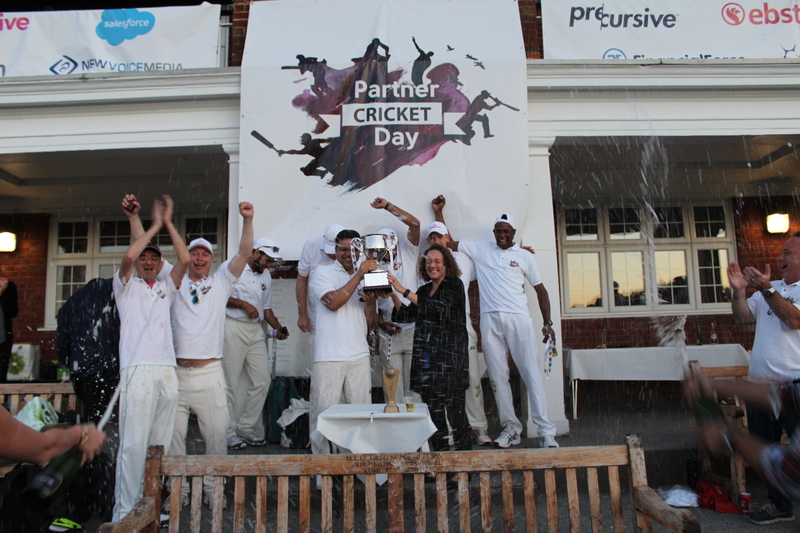 No comments on "Partner Cricket Day ... everyone is a winner"